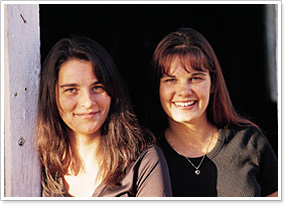 DNA testing is the definitive method to determine if twins are identical or non-identical. DNA SOLUTIONS ISO accredited DNA laboratory will use a simple mouth swab from each twin, extract the DNA and profile the DNA by using state of the art DNA testing processes. 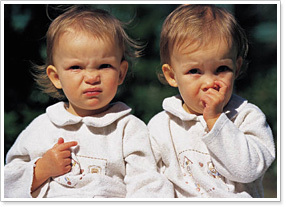 Identical twins (monozygotic) have the exact same genetic profile, while non-identical twins (dizygotic) have different genetic profiles, much the same as siblings. We will send you swabs and instructions on taking a simple mouth (cheek) swab from each twin..
Test will take 10-14 working days after we have received your mouth swabs and is over 99.9% accurate..
Tests for identical, non-identical and semi-identical. Test will take 10-14 working days after we have received your swabs and is over 99.9% accurate.